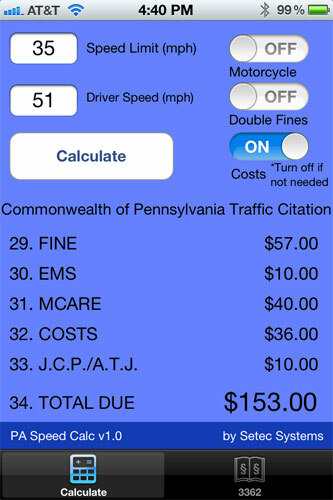 PA Speed Calc simply takes the speed limit and driver speed to calculate the dollar amounts for the various blocks on a Pennsylvania Traffic Citation when citing PA Title 75 (Vehicle Code) § 3362 Maximum Speeds. 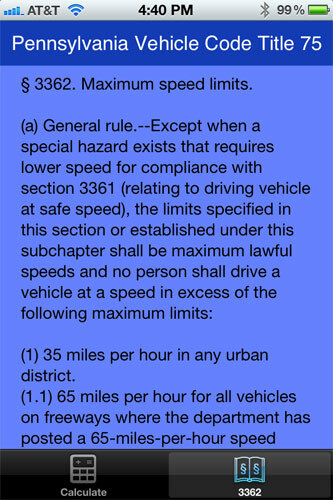 There is also a copy of § 3362 inside the application for reference while on a traffic stop. 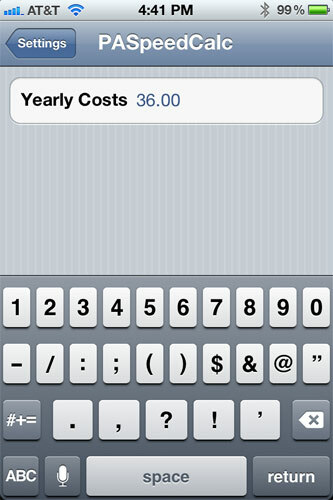 This app was developed by a Pennsylvania police officer.